As part of a deep-rooted passion for supporting the growth of sailing in all of its forms not just globally but also at regional level, RS Sailing is providing all Caribbean Sailing Association (CSA) members with a special opportunity to purchase RS Feva sailboats at a price exclusively reserved for CSA members. This offer is aimed specifically at supporting sailing programs in the Caribbean region that are either looking to set up new programs or further develop existing youth sailing pathways at local or national level. 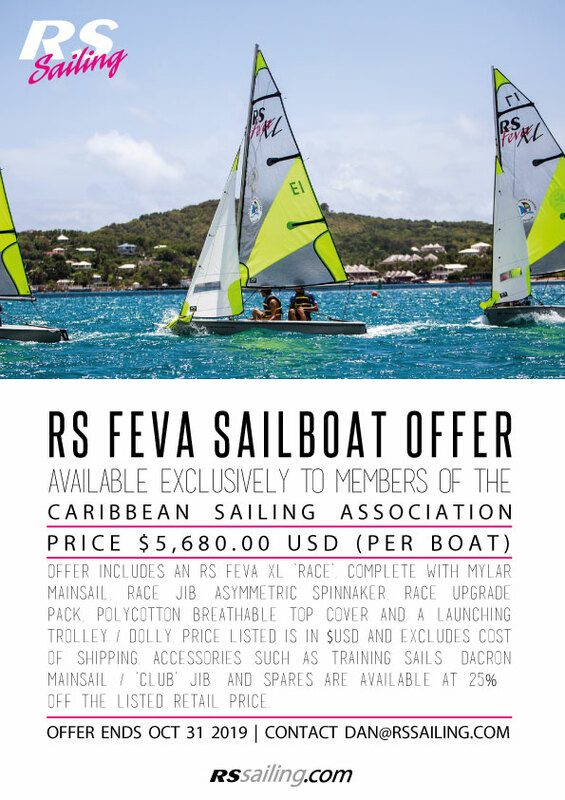 The offer features the RS Feva sailboat which the CSA recently announced as being the new 2-person youth-focused equipment of choice for the annual CSA Caribbean Dinghy Championship (CDC) regatta. The RS Feva has remained the world’s fastest selling youth sailboat since it became a World Sailing Class almost 10 years ago, with over 7,000 boats sold worldwide. The class is proud to boast a 50/50 gender balanced participation at its international competitions which regularly attract in excess of 150 sailors from nations on every continent. The RS Feva is currently being used by numerous national sailing federations as the pathway / transitional class of sailboat for young sailors looking to progress from sailing single-handed classes such as the Optimist or Laser 4.7 / Laser Radial on to more performance sailboat classes such as the 29er and International 420. Any CSA members that are interested in acquiring a fleet of RS Fevas for their sail training program should contact Dan Jaspers at RS Sailing for more information via dan@rssailing.com .